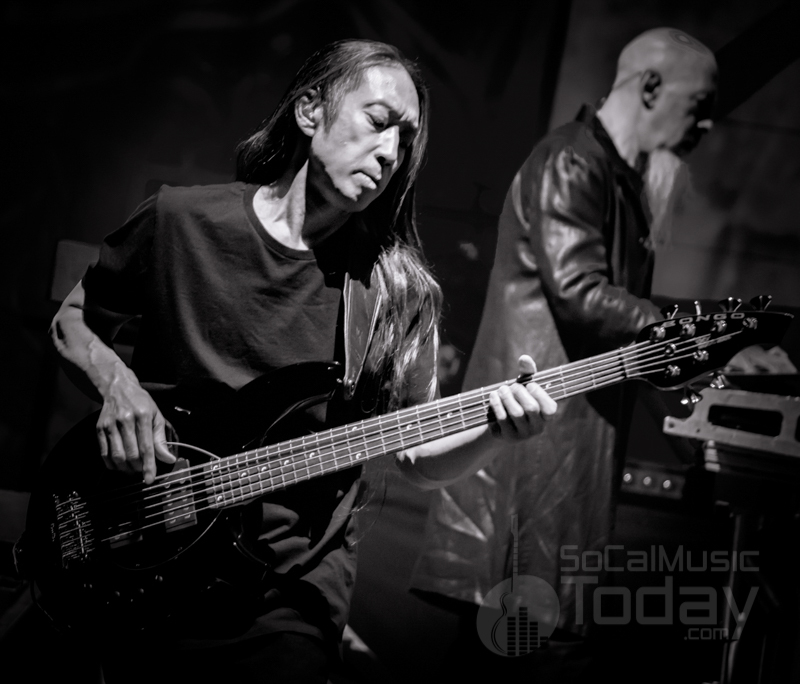 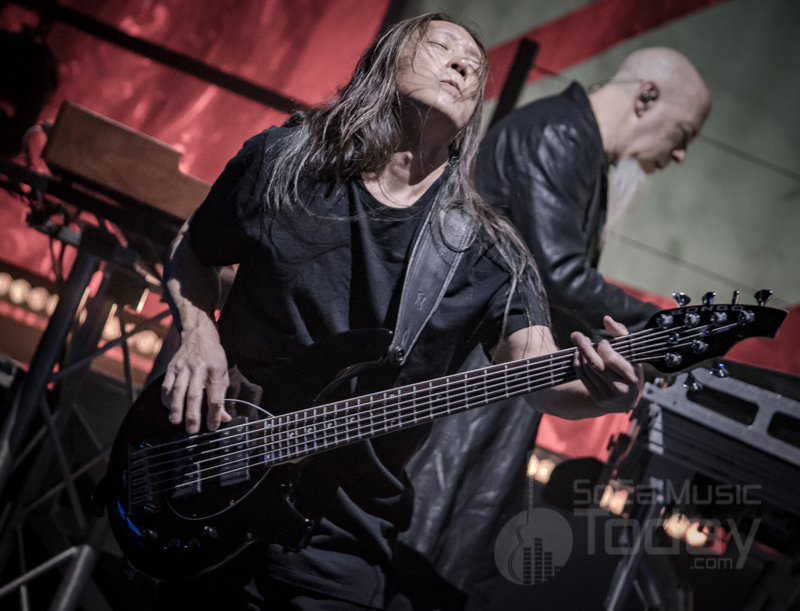 Progressive Metal pioneers Dream Theater released their 14th studio album on February 18, Distance Over Time and kicked off the touring cycle for the album in Southern California. 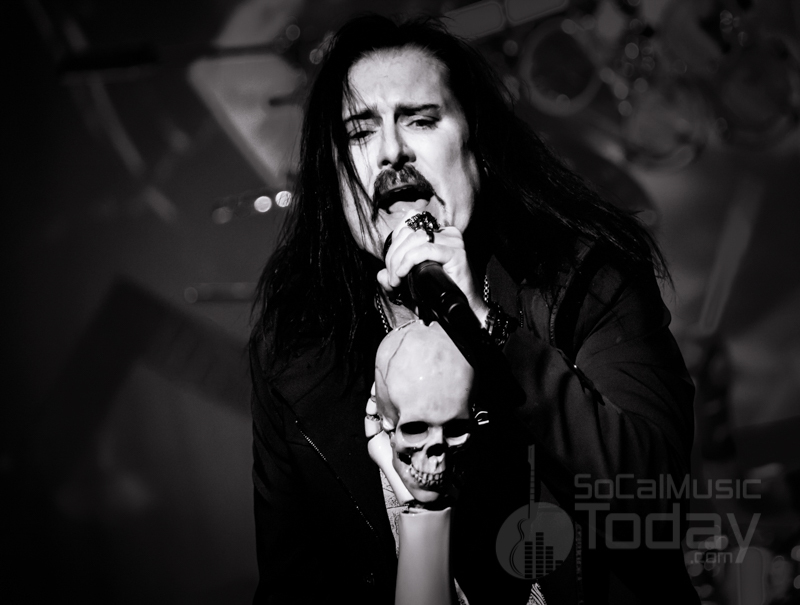 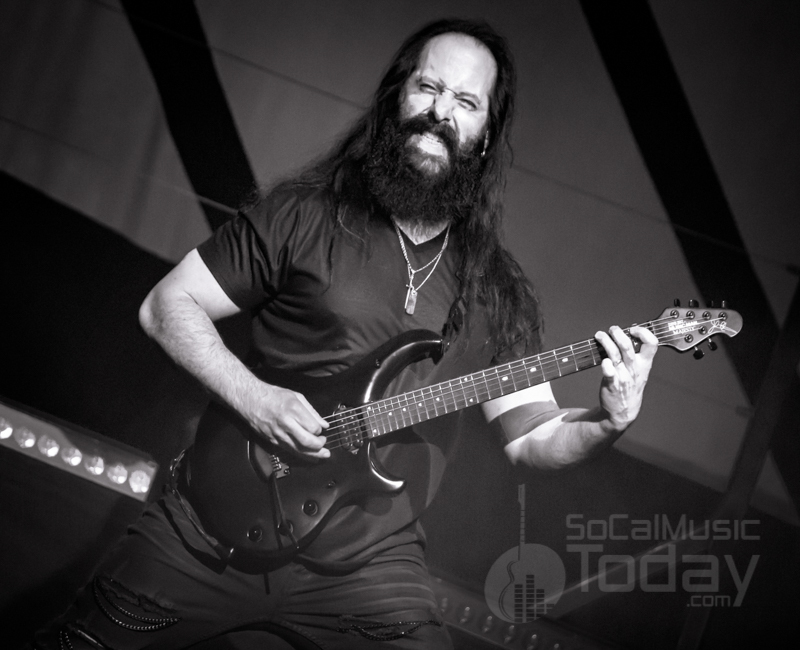 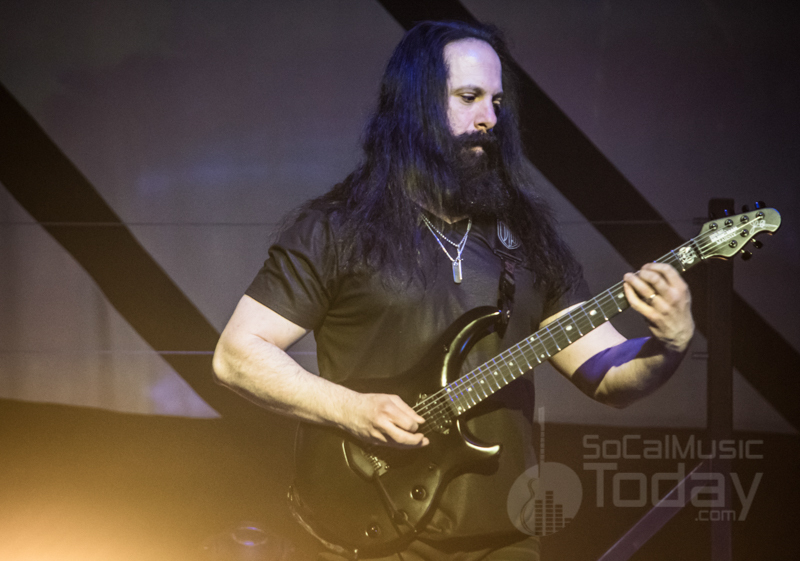 After opening night in San Diego on March 20, Dream Theater played two nights at The Wiltern Theater in Los Angeles, March 21 & 22 (with this review being from March 21). 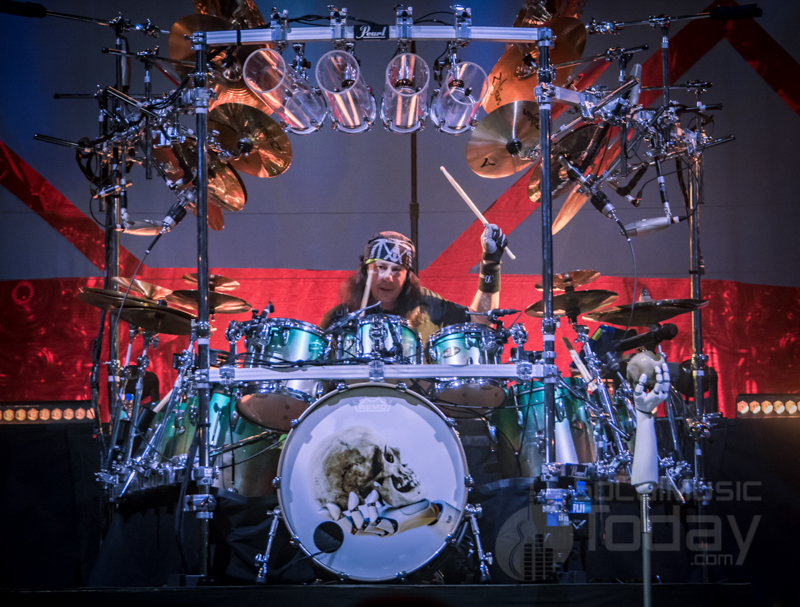 As with recent tours, there was no opening act, just an evening with Dream Theater. 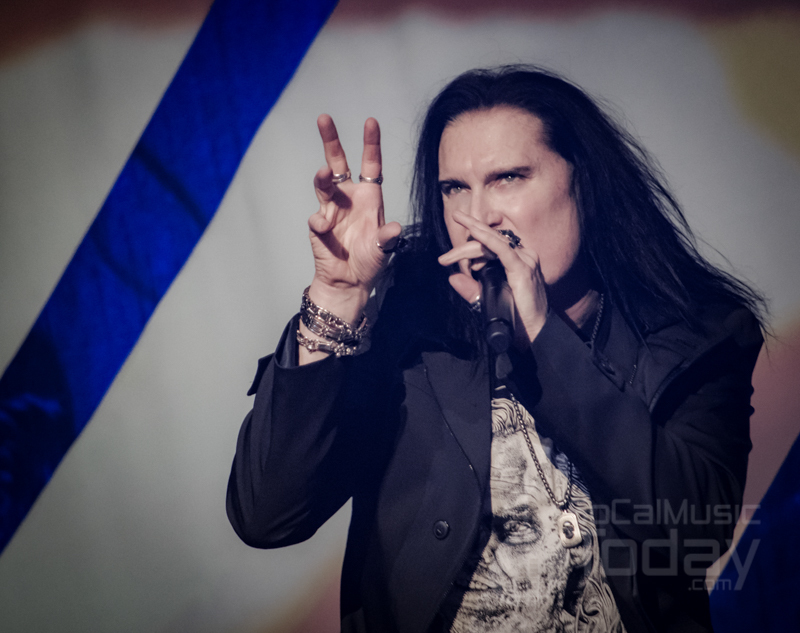 The night was broken up into two acts with a brief intermission in-between. 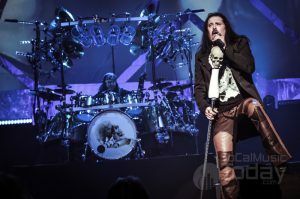 After some video images on the large screens behind the stage, the band took the stage and started the night with a new song “Untethered Angel”, the first song off Distance Over Time. 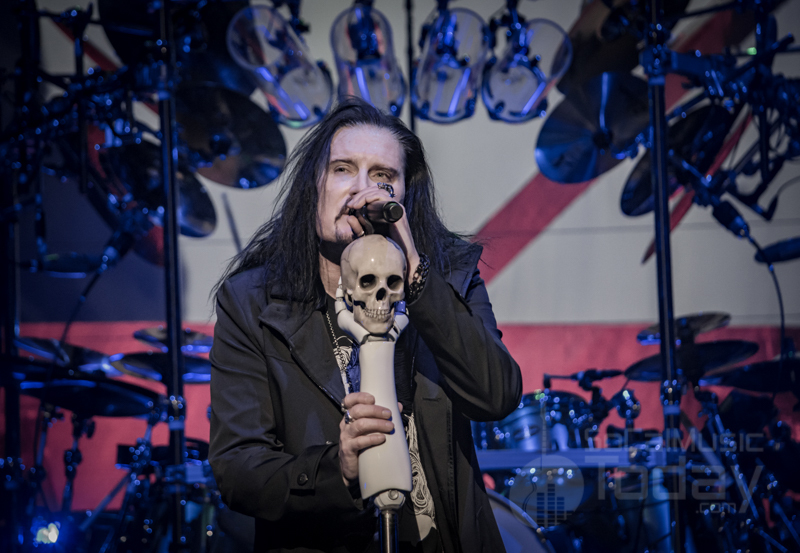 This was the first of four new songs that would be played – all during Act 1. 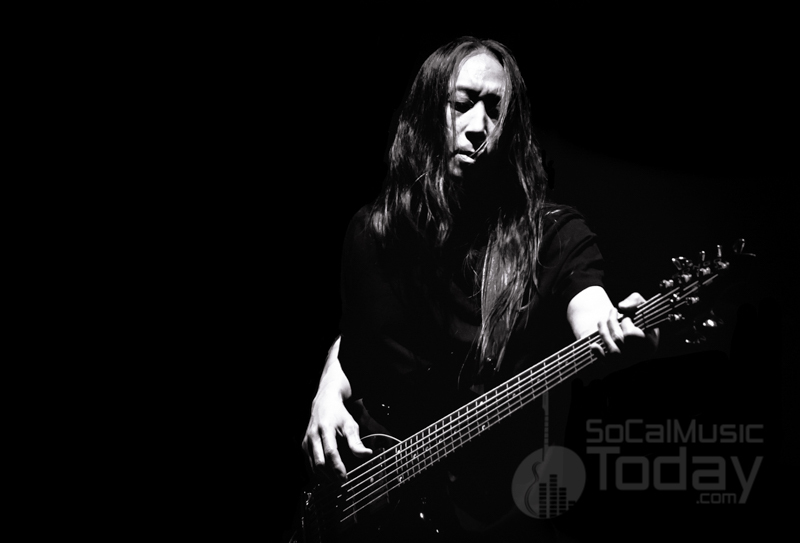 As usual the songs sounded so much more vibrant hearing them in a live setting. 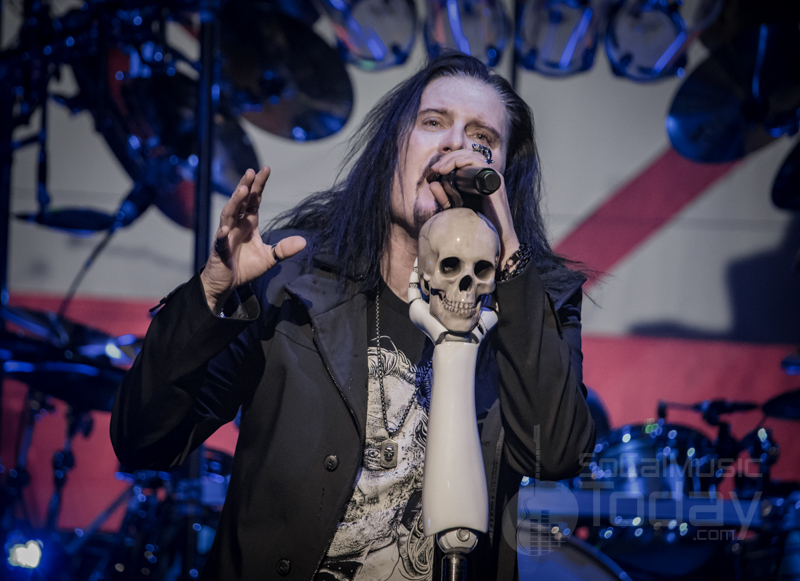 With Distance Over Time, the band has seemed to be much less concept-based and have a much more song-oriented approach which gives the songs a bit more variety from start to finish. 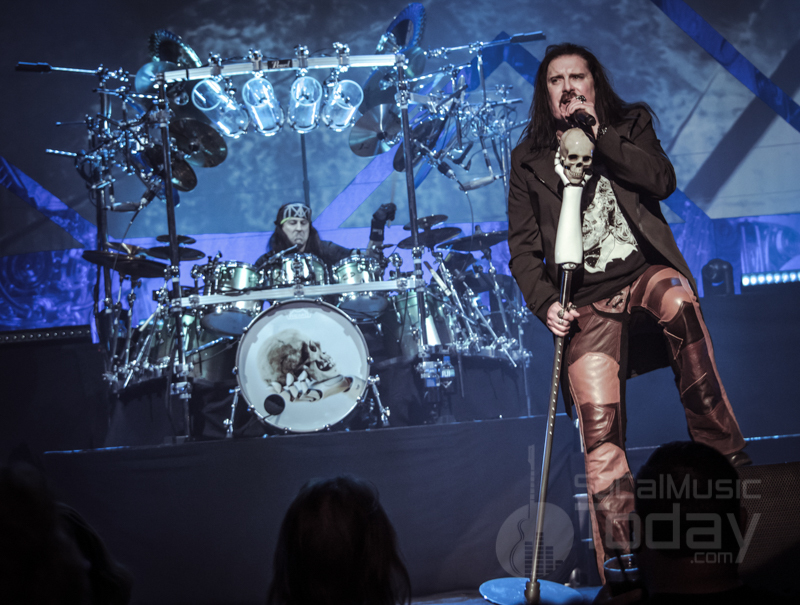 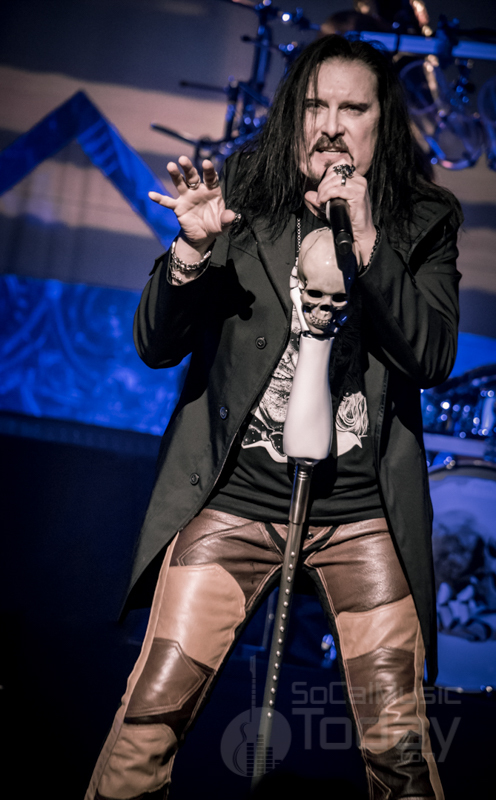 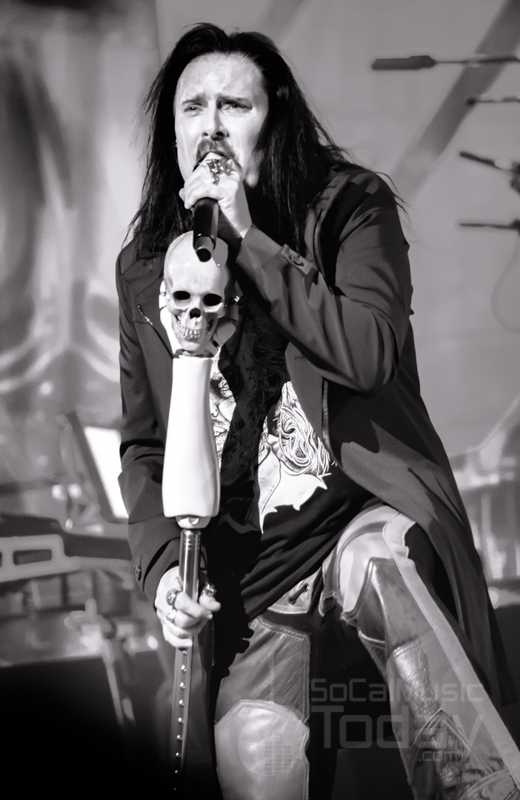 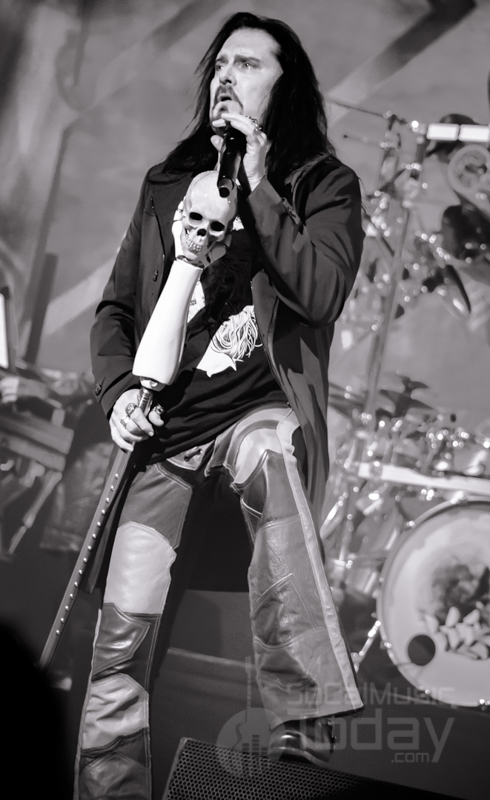 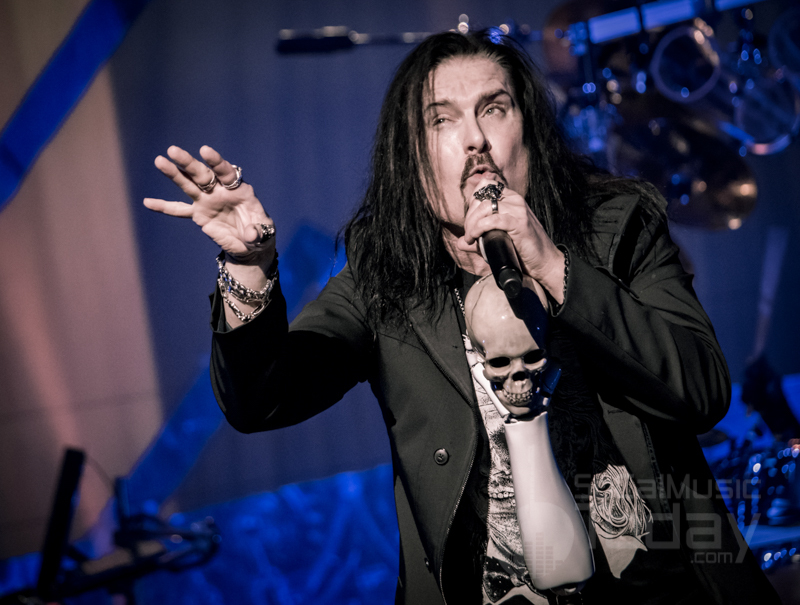 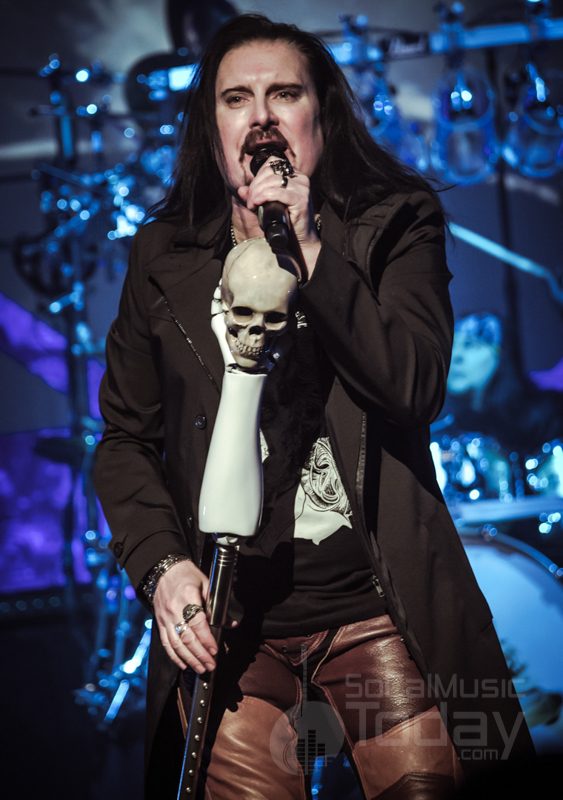 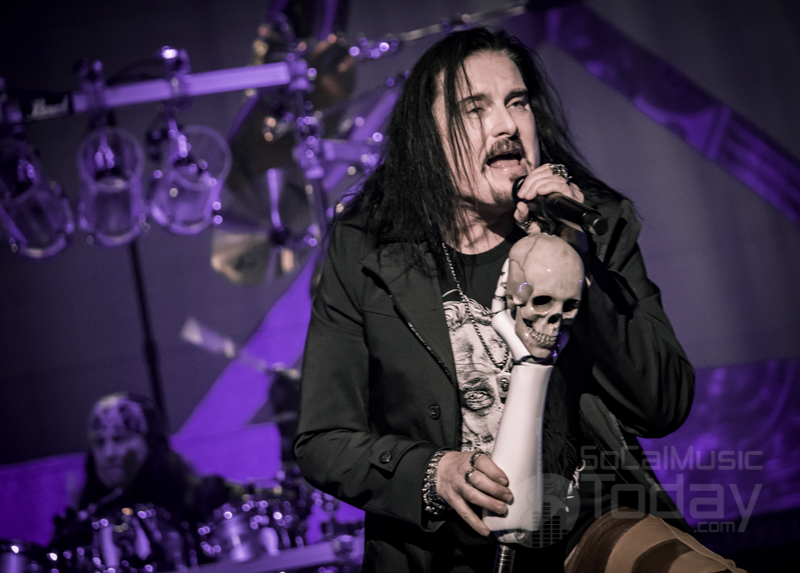 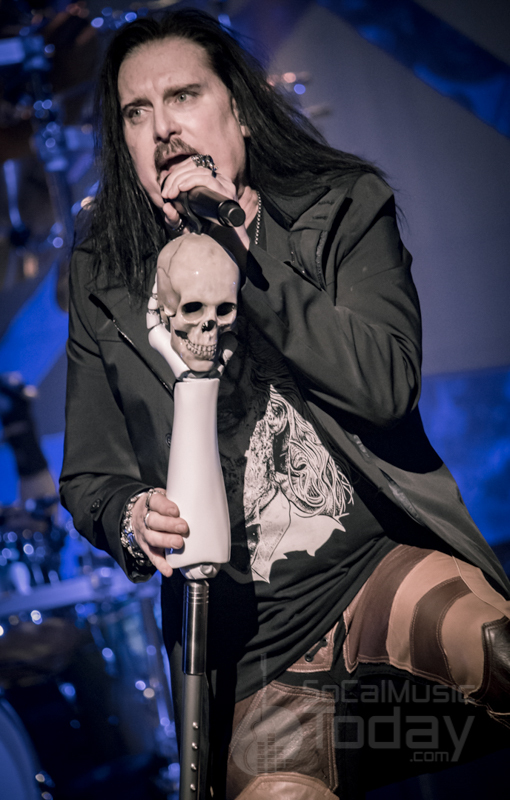 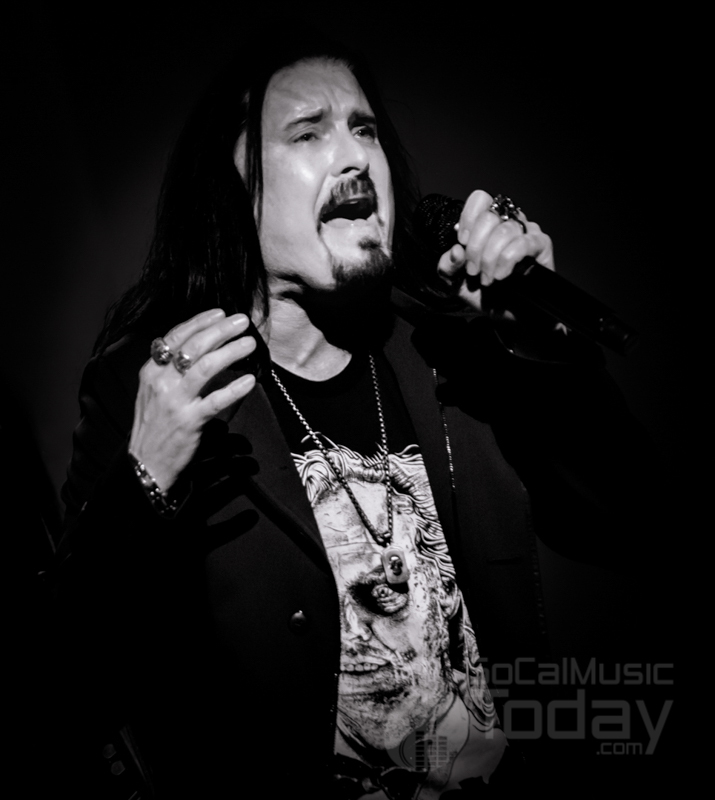 The band led by vocalist James LaBrie was energetic and each member delivered a musical masterpiece on their instrument respectively. 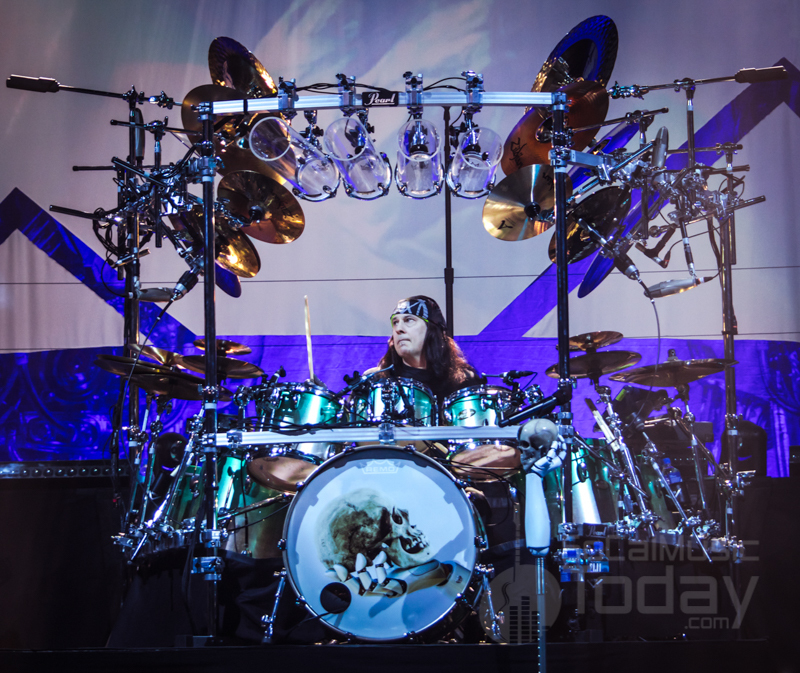 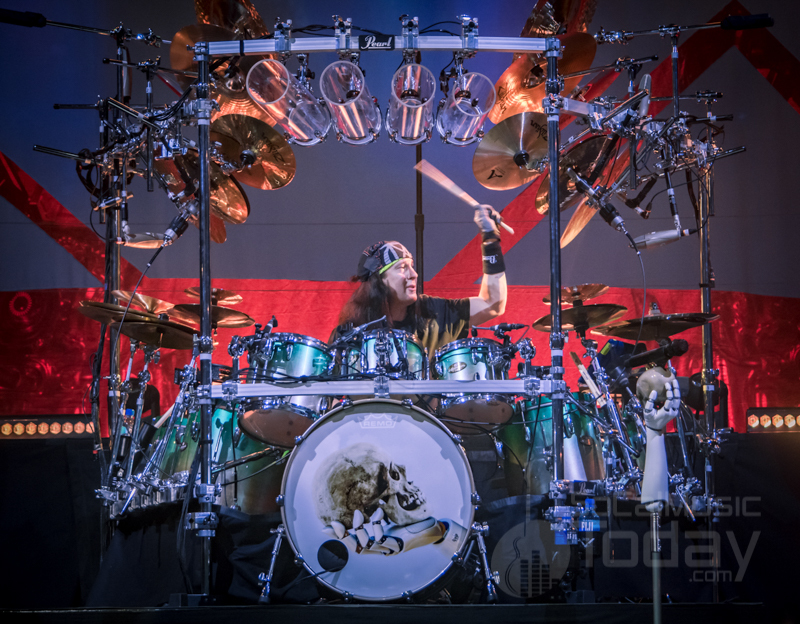 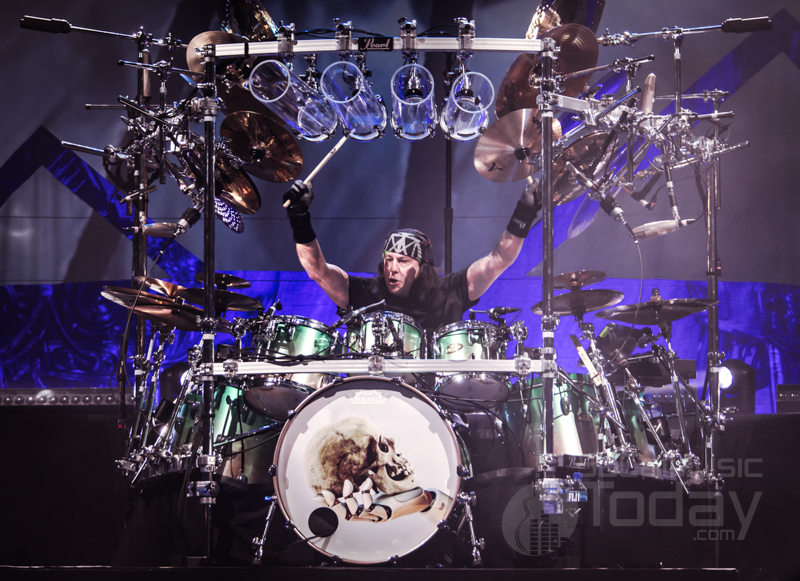 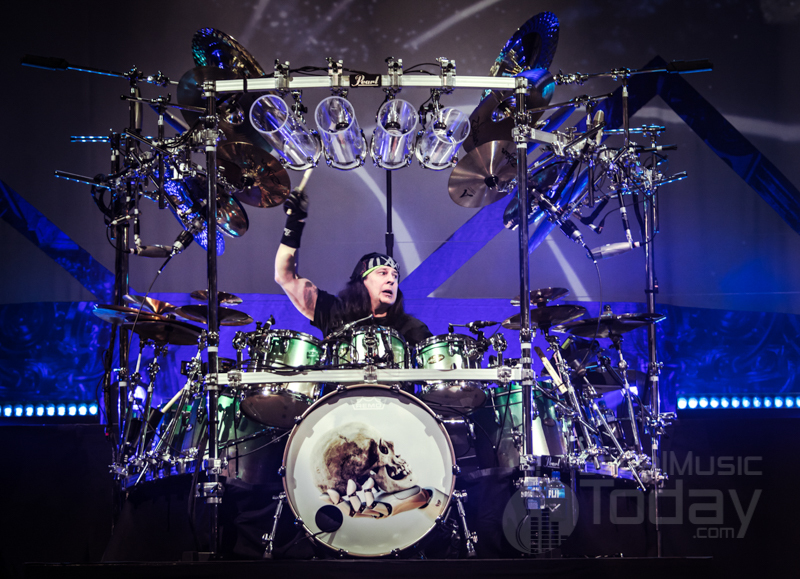 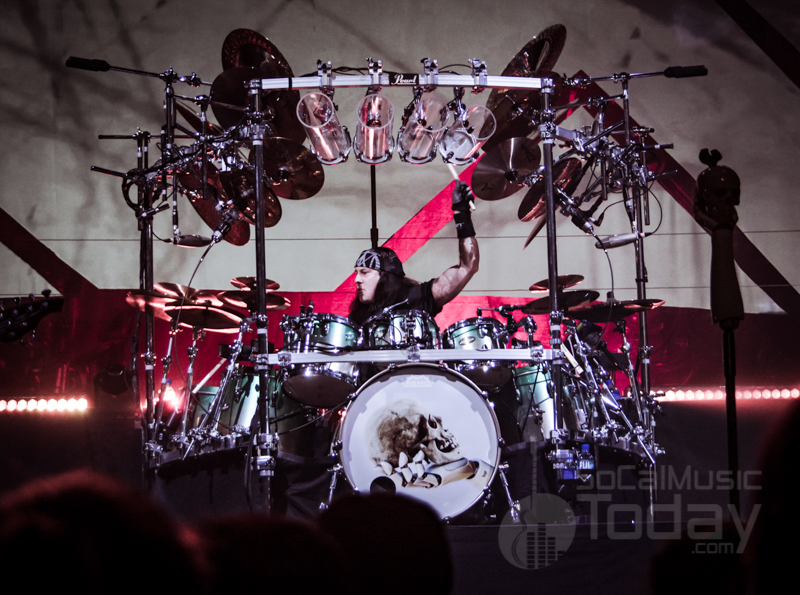 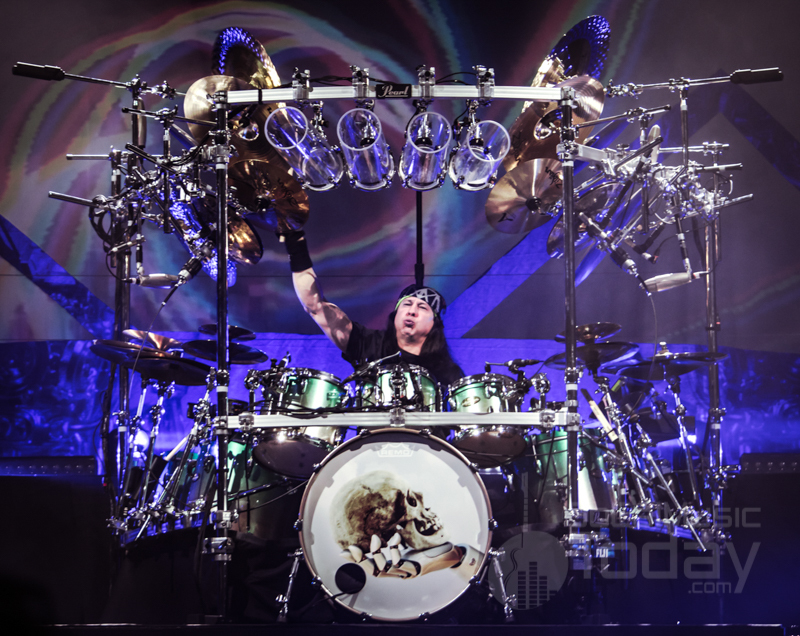 The stage was anchored by Mike Mangini’s large drum-kit, it is amazing the size of this kit but even more amazing is that Mangini uses every last piece he has on stage with him. 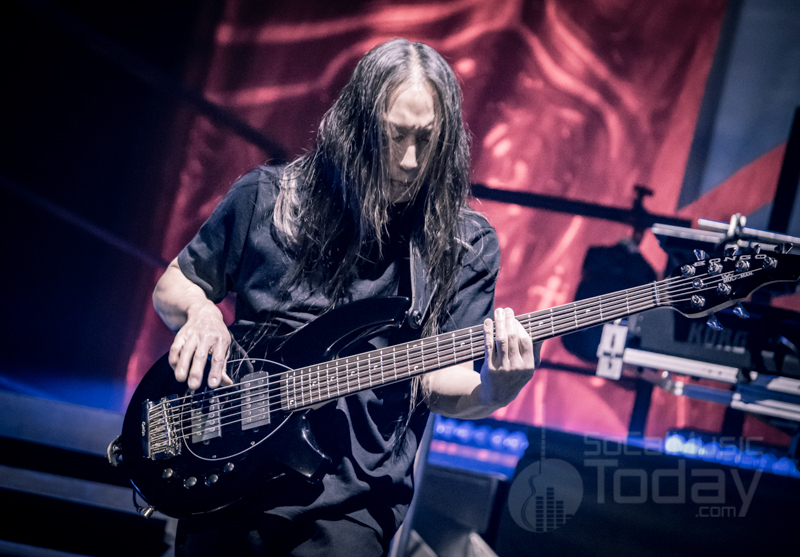 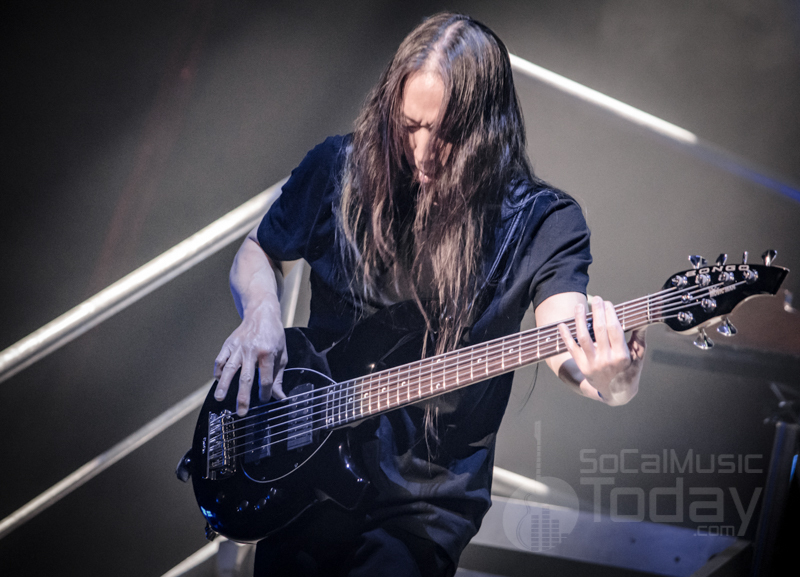 Mangini’s partner on the low end, bassist John Myung is a master at his six-string bass throughout the show. 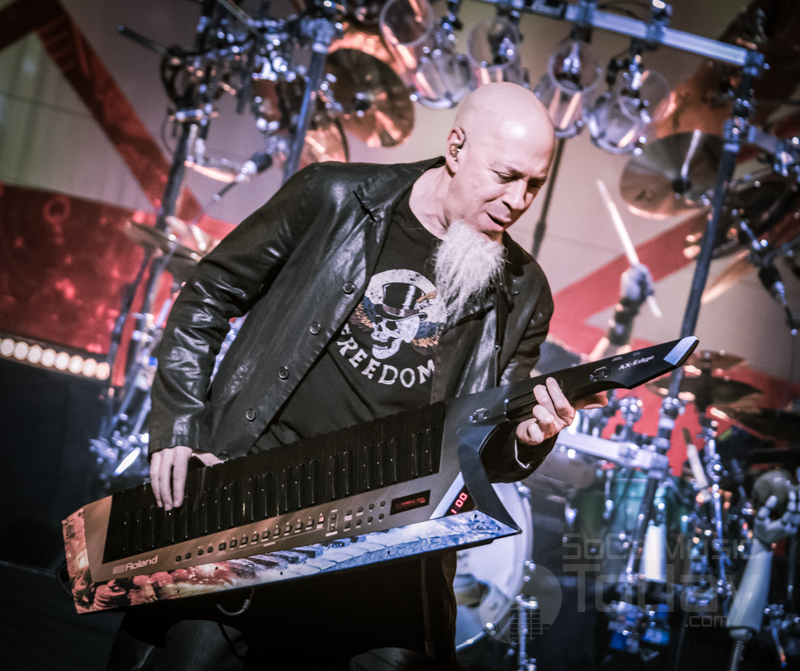 Then there is Jordan Rudess on Synths and keyboards . 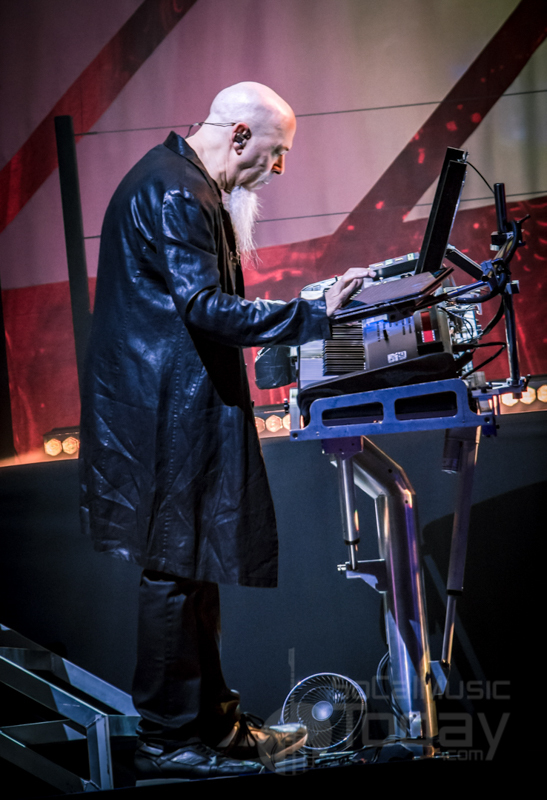 . . Rudess is a modern-day Rick Wakeman with the sounds he creates. 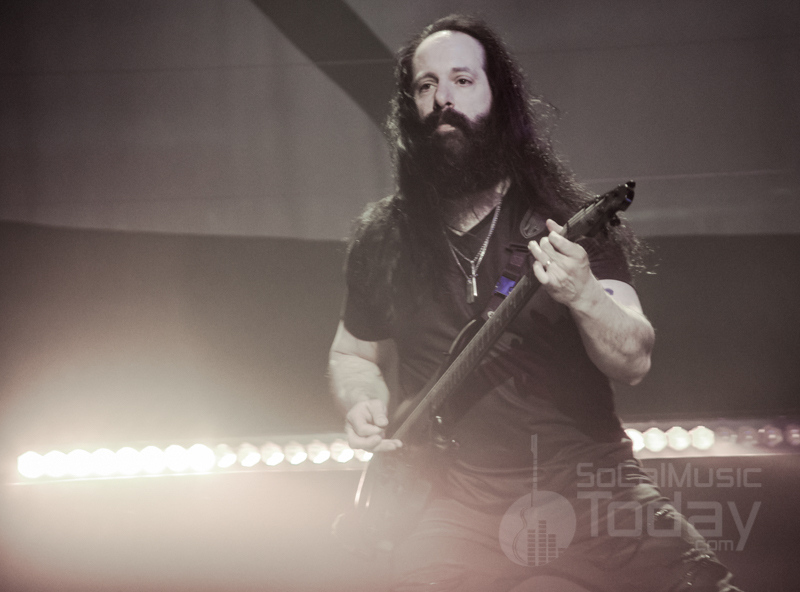 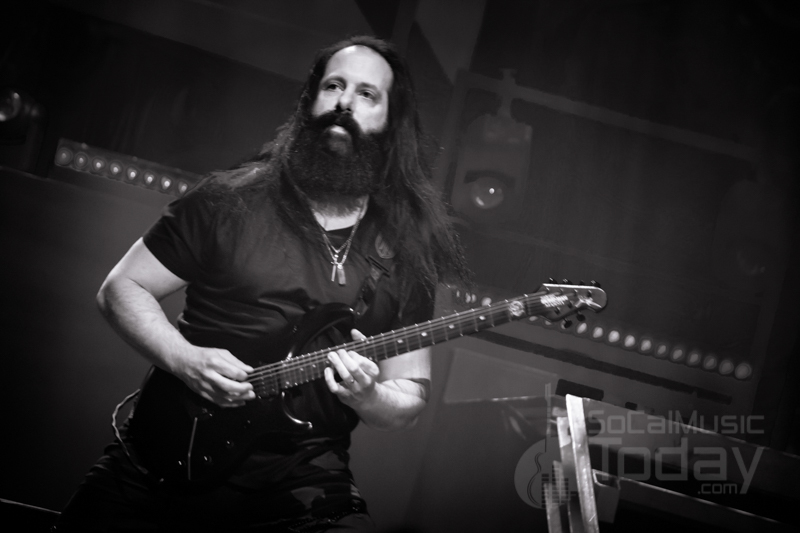 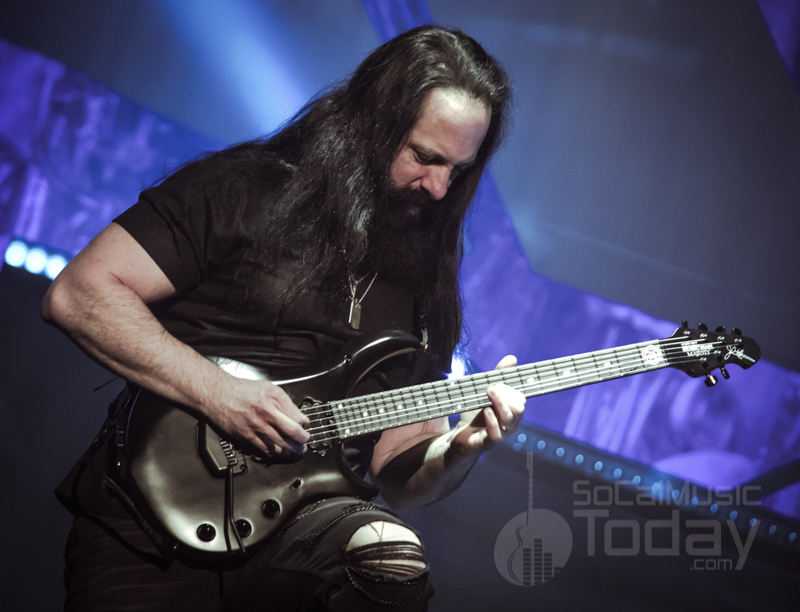 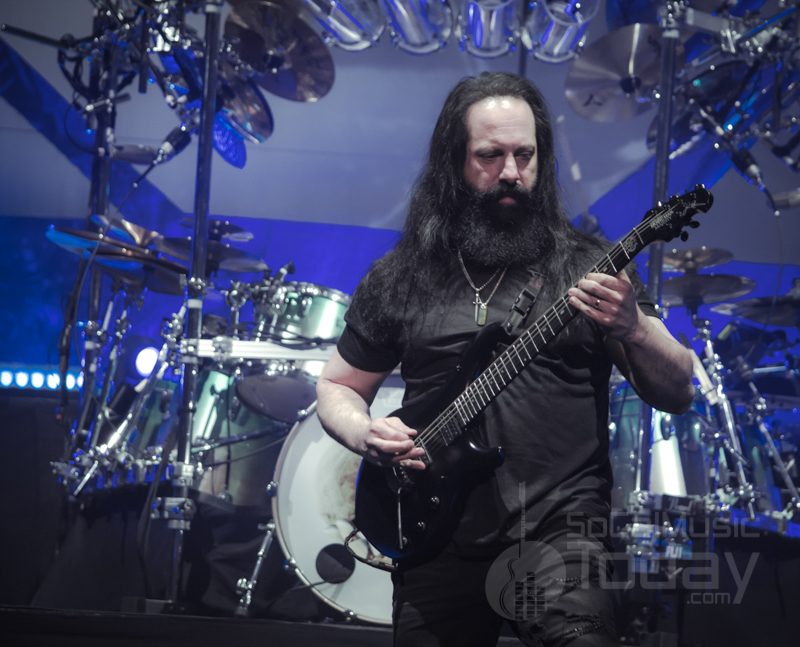 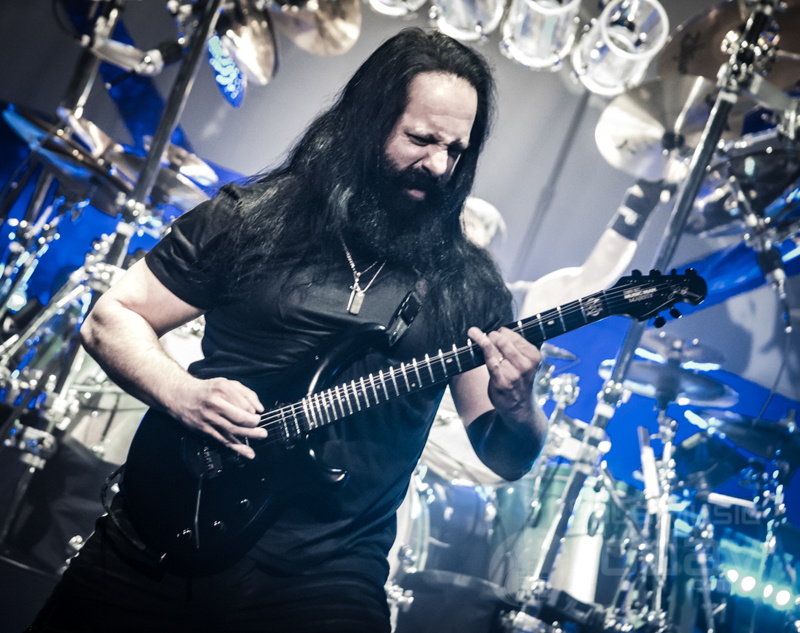 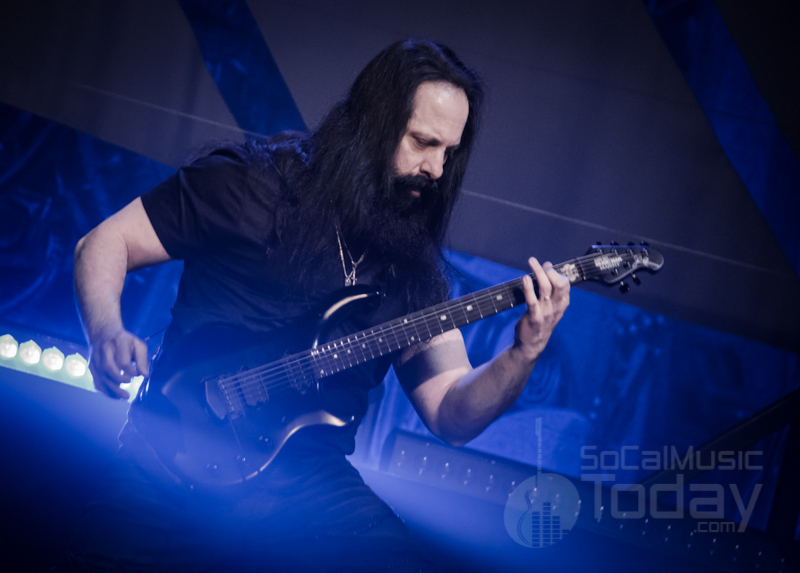 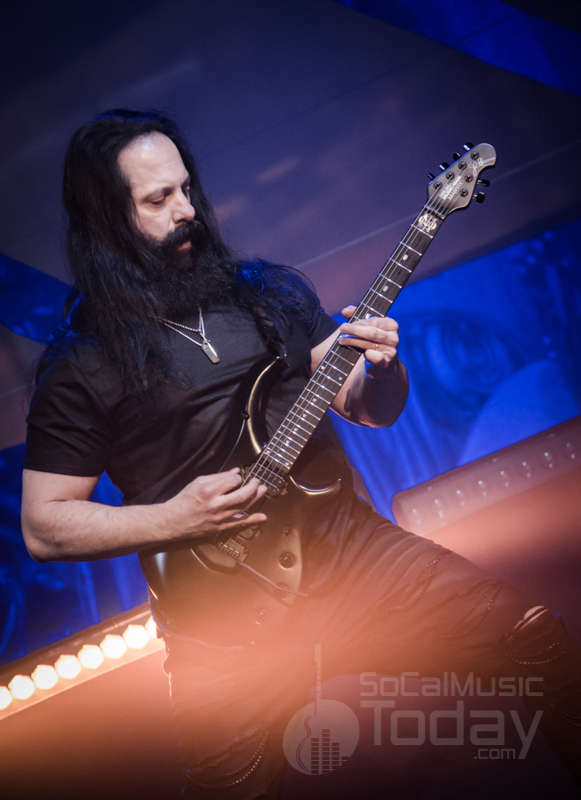 And the guitar master himself and one of the founding members of Dream Theater, John Petrucci. 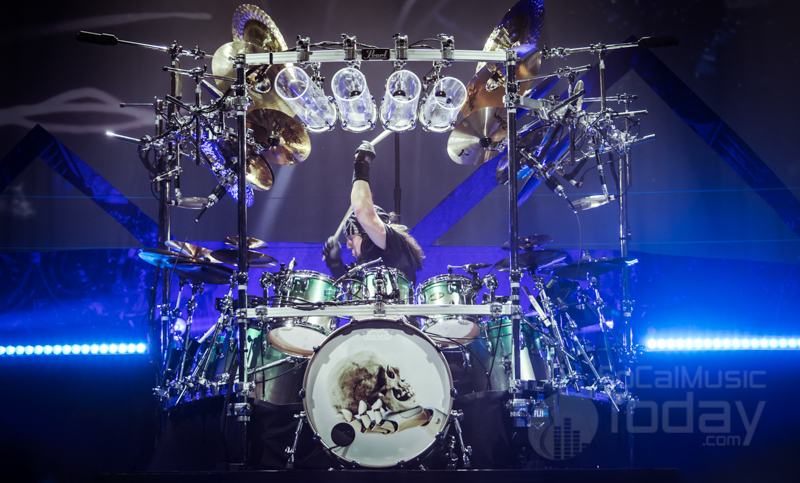 Such a technical player who just takes you into another dimension with his playing. 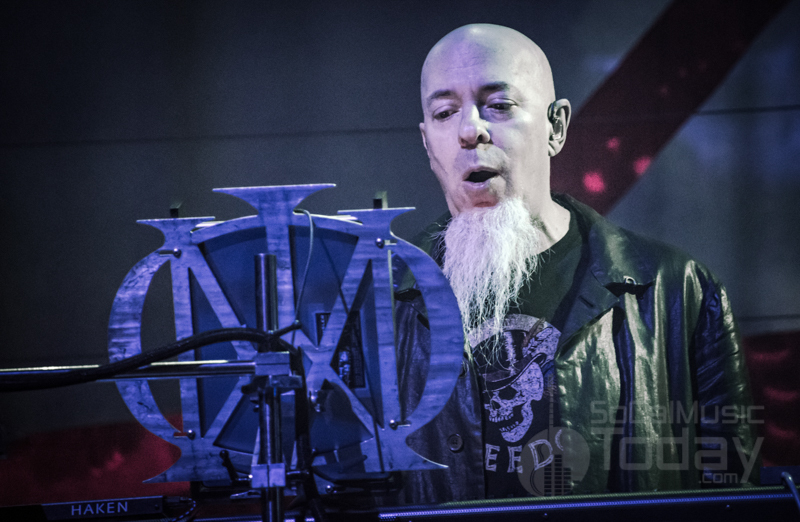 Including the brief intermission, the band played for almost three hours making for the perfect Dream Theater show. 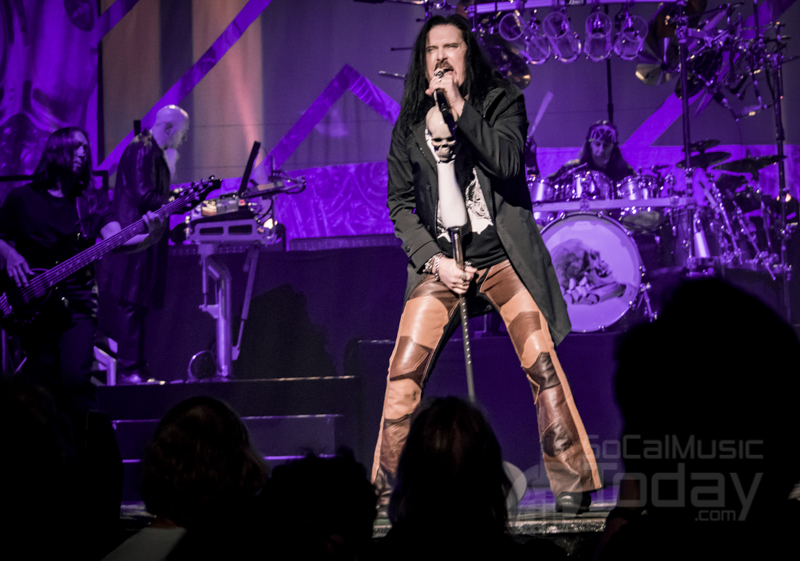 A song left out of the set on some nights closed this first night in Los Angeles, possibly their best-known hit, “Pull Me Under”. 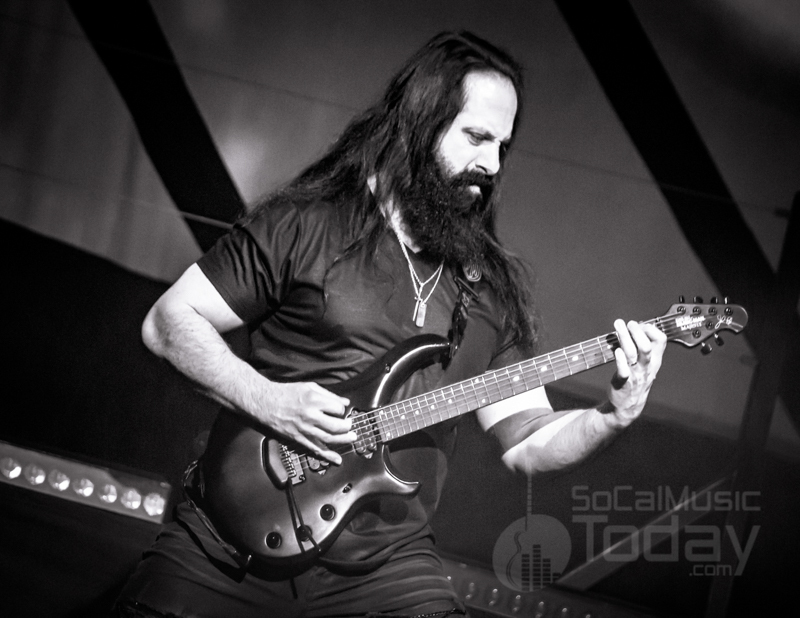 Many fans on night 1 were overheard saying they would be back for night 2 for another round of Dream Theater magic.